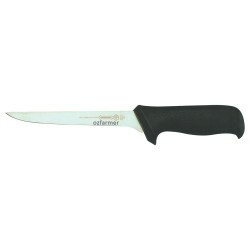 Schrade Middleman 3 Blade Stock KnifeSchrade Middleman Stock Knife A general purpose knife with.. 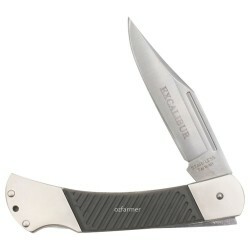 The Excalibur Castle is a single-blade knife, suitable for general and skinning use. It features a w.. 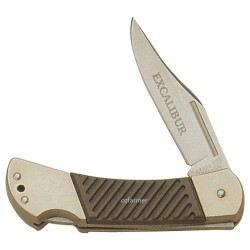 The Excalibur Tracker is a single-blade knife suitable for general and skinning use. It features a r.. The Tracker 450 is a larger version of the 350. The Excalibur Tracker is a single-blade knife suitab.. Established in Brazil before WWII by a German knife manufacturer. 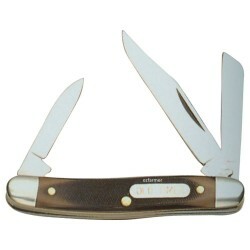 The production still bears the hal..
Mundial is a well known brand of knives manufactured in Brazil. The company was established in Brazi.. The Bearhead has a single skinning blade of stainless steel with lock-open feature. .. The Buzz Saw features a high-tech double-tooth saw blade which will cut through almost anything, alo.. 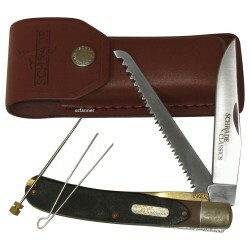 The Junior Stockman is a 3-blade general purpose stock knife. Carbon steel blades. Blade variety to.. 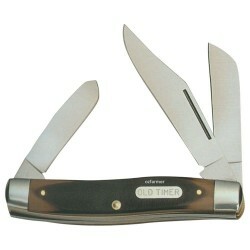 The Senior Stockman is a 3-blade general purpose stock knife. Carbon steel blades. Blade variety to.. 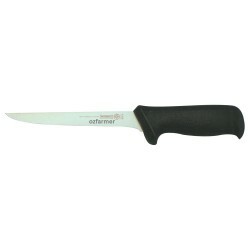 This is a large knife suitable for a lot of uses, not least of being a great fish knife! High quali..